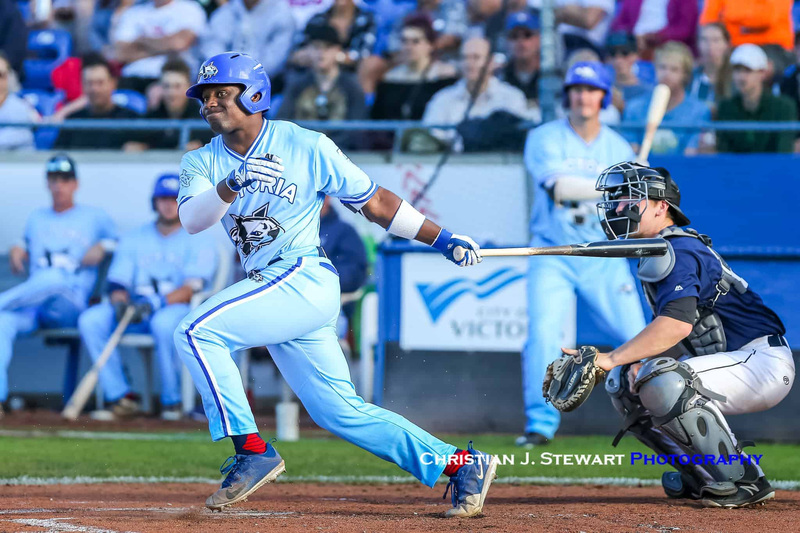 Every August, it’s the same conversation at Wilson’s Group Stadium at RAP — players asking the HarbourCats if they can be invited back for another summer in Victoria and our fans wondering what core group of players will return the following season. Our fans and especially our season ticket holders, who can renew their seats at 2018 prices by September 15th, will now be happy to know that four such players are lined up to return for 2019, including two from the University of San Diego — IF/RHP Noah Prewett, who was with the team in 2017 and RHP Nate Walker, the hard-throwing bullpen stalwart whose fastball touched 95 as he dialed in with the HarbourCats in 2018. Also re-signing is versatile, power-hitter A.J. Lewis (Eastern Kentucky), who spent time behind the plate, in the infield, and in the outfield for the HarbourCats in 2018. And the crown jewel is impact outfielder Nick Plaia, a three-year vet of the West Coast League returning for his second season as a HarbourCat. The junior at Cal Baptist was Victoria’s player-of-the-year in 2018, setting records for doubles (12) and stolen bases (19). 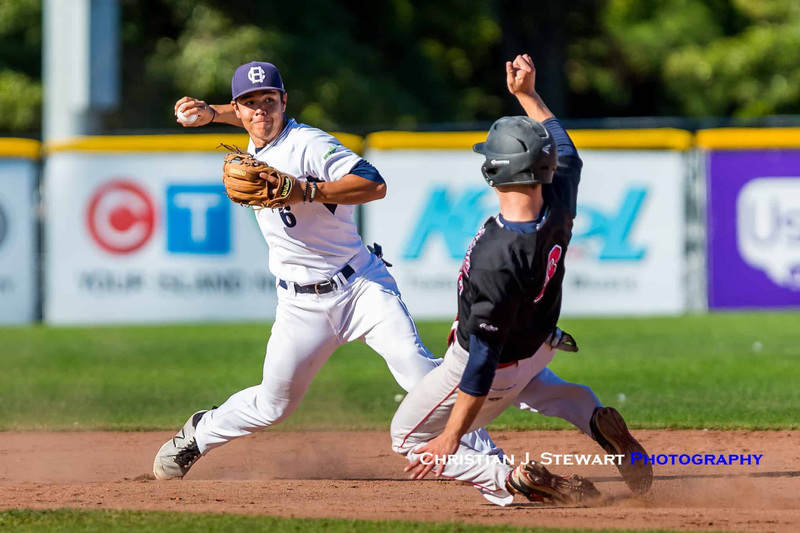 With IF Trevin Esquerra, announced Tuesday, the HarbourCats now have five players signed already for the 2019 season. “The coaching staff and Brad (Norris-Jones) are working hard every day to find the right group for us to be a playoff team in 2019, and knowing behind-the-scenes what’s happening, I’m excited,” said Swanson. Lewis stole 10 bases in 11 league games, and also had a two-homer outing in a non-league game. Plaia had 37 hits and drew 21 walks, then was successful in 19 of 24 stolen base attempts. Walker had 32 strikeouts in 29 innings, picking up two saves. Prewett, who played third base and pitched in 2017, hit .342 with two home runs and just six strikeouts, while posting a 2.79 ERA with no walks in nine innings pitched. The HarbourCats are securing 2019 season tickets at 2018 pricing until September 15, with a few bonuses for those who get their seats lined up early. Free playoff tickets, pricing break, and best selection are the reasons to meet the early-bird deadline — and now, the V2V Ferry has a special bonus. All who have secured their seats by September 15 will have their names entered into a draw for a return-trip-for-two from Victoria to Vancouver, Royal-Class tickets. One entry per season ticket-seat secured. “We also want to give people the opportunity to renew or purchase at an early bird rate, prior to the price adustments we are making after September 15, where there is an opportunity, depending on seating level, to save anywhere from $25-$125 per seat. 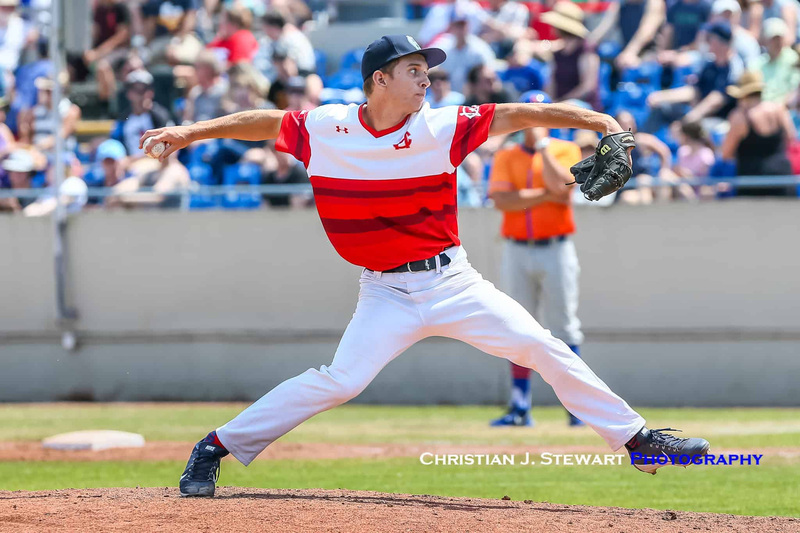 To renew or order new season tickets, drop in to the office at 101-1814 Vancouver Street, call 778-265-0327 or e-mail chris@harbourcats.com to get set up. With our 2018 season now being complete, our off-season office hours (to December 1) at 1814 Vancouver Street are now 10:00 am to 5:30 pm Tuesday through Friday. We are closed (or by appointment only) on Monday, Saturday and Sunday.